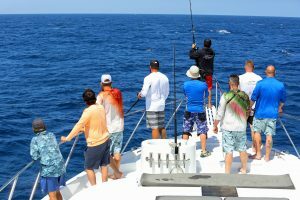 When Freedom Alliance offered to take these seven veterans on a fishing trip in the heart of Cabo San Lucas, Mexico, they had no idea what to expect. They came back with an experience the likes of which they never could have dreamed. Anthony Hsieh, CEO and Chairman of home loan lending company “LoanDepot,” contacted Freedom Alliance to organize a fishing excursion on his private yacht “Bad Company.” We sent seven of our friends—all American military heroes—to join Mr. Hsieh in this Outdoor Adventure. 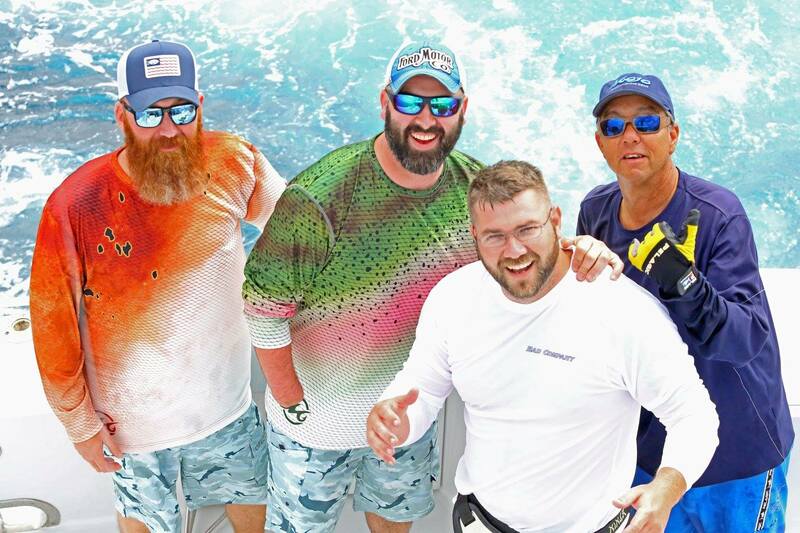 These veterans were treated to a once-in-a-lifetime fishing trip on the waves. They received complimentary fishing shirts, performance shorts, Bill Boyce edition sandals, LX/JX series reels, and other goods courtesy of our friends at Mojo Sportswear, AFTCO, Cobian Footwear, and AVET. Expert rod craftsman Richard Mattanzacardenas and Fisherman’s Landing Tackle Shop partnered to create custom fishing rods for each of our veterans, as well. During the expedition, Mr. Hsieh supervised this group of American heroes as they slowly accustomed themselves to using their new rods and reels. Each time there was a bite on the line, the ship buzzed with excitement and glee. 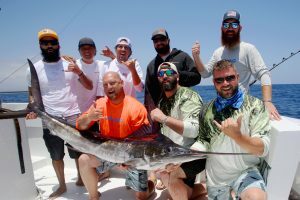 These men got better and better at luring in the fish on the other end; in total, when all was said and done, they succeeded in landing six marlin. For these beginner anglers, this was a rousing success. The fishing, however, was only a small part of this life-changing naval excursion—the bonds these men formed with their fellow veterans were much more important. As a military support organization, Freedom Alliance fully understands the struggles that our heroes face daily. We organize outdoor excursions—like this fishing trip generously provided by Mr. Hsieh and LoanDepot—in order to give our veterans a reprieve from the day-to-day routine, and to allow them the opportunity to connect with others who are in a similar walk of life. This fishing trip on Mr. Hsieh’s yacht did just that. Not only did our veterans have the time of their lives, they also made lifelong friends and brothers. We are constantly inspired and reenergized when we hear the testimonies of veterans like Ty and Woody. Thank you, LoanDepot and Mr. Anthony Hsieh! To find out more about what Freedom Alliance does to help our American heroes, visit https://freedomalliance.org/.